I’ve always felt that ‘fashion’ is nothing, but art- a means of story-telling. What you wear needs to say something- something about you, your mood, your beliefs or your personality! It’s a form of expression. So, while trends may be the same for all, their interpretation for each one is different. Because each one of us draws from our own unique inspiration, just like Art. And so, as a fashion blogger, I’m constantly on the lookout for artists whose work I can relate to. Artists whose work speaks to me and of the stories in my head and heart. 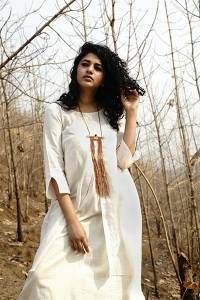 Razia Kunj’s pieces do exactly that for me. 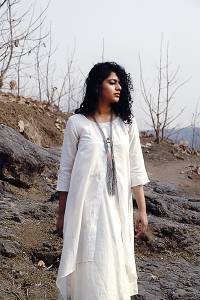 Her latest collection, Moksha, is inspired by the Indian saints and sadhus. By the holy men and their spirituality. According to Razia, she wanted every thread, every bead and every carved piece of wood and metal to lend an aura of magnificence that’s only seen in yogis to the wearer. And I believe it does just that! 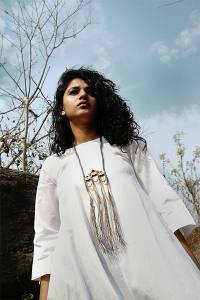 Wearing any piece from the Moksha Collection makes me feel the strength, joy and immense passion with which each piece is created and which it depicts. With intricate threadwork, Rudraksha and Shiv Lingas carved out of wood and metal, Moksha is a true celebration of the Shiv Bhakt and his Bhakti, and yet, they’re not a religious symbol of any sort…! They’re in fact, more of a spiritual symbol… of penance, of liberation, of Moksha! These necklaces, by far, are some of the most unique pieces I’ve ever come across and somehow, to call them ‘jewelery’, doesn’t even seem right! Because to me, they’re much beyond that! They’re a story, a keepsake! They’re Art! According to me, the best way to wear them is to pair them with plain colour dresses, kurtas or tops, because that’s what does justice to them and makes them stand out in all their glory! 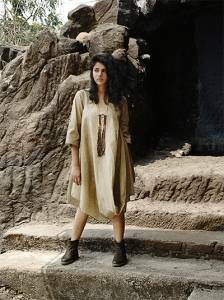 I love wearing them on cottons and khadi fabrics because they’re as rustic and raw as the pieces in Moksha. 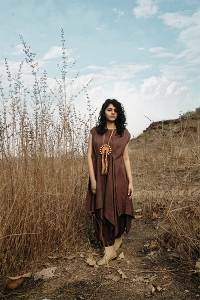 I’m sure they’ll also look super-elegant on summery, cotton sarees, and even make for a stunning contrast on a classy cocktail dress.